Moreno Torroba is often associated with the zarzuela, a traditional Spanish musical form. 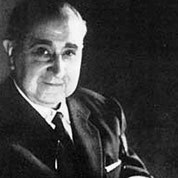 Directing several opera companies, Moreno Torroba helped introduce the zarzuela to international audiences. However, he is probably best known for his compositions for the classical guitar, many of which were dedicated to either Maria Angélica Funes or Andrés Segovia.